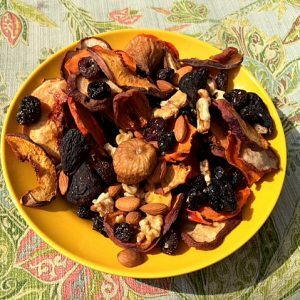 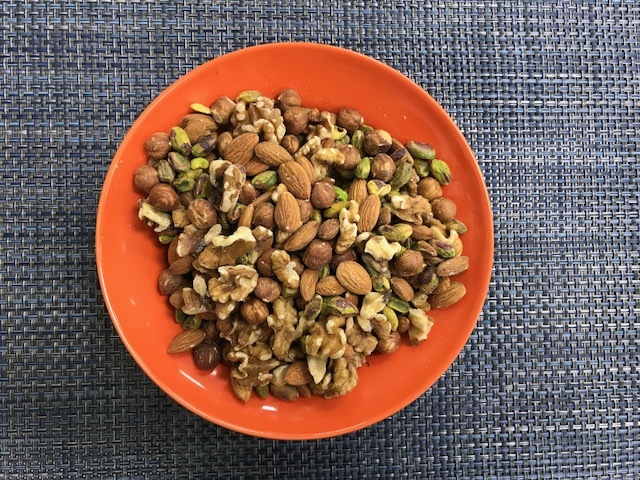 Four types of organic nuts mixed (when all available). 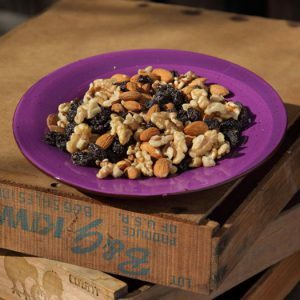 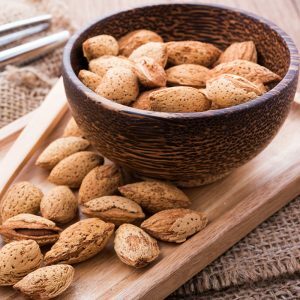 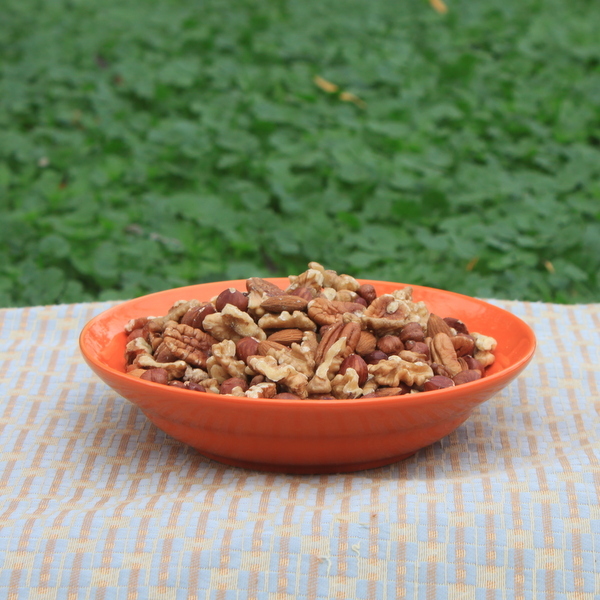 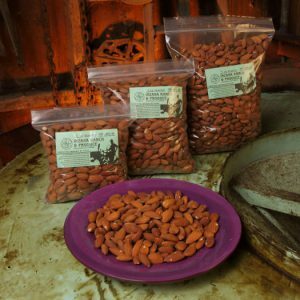 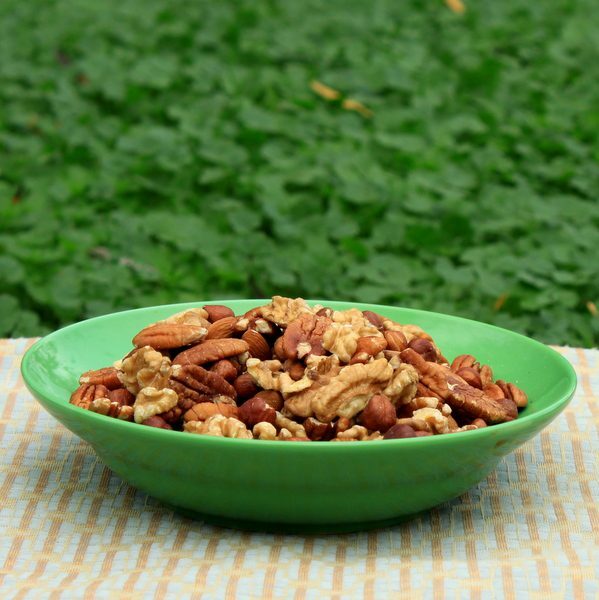 organic almonds, organic walnuts, organic pecans and organic filberts (hazelnuts). 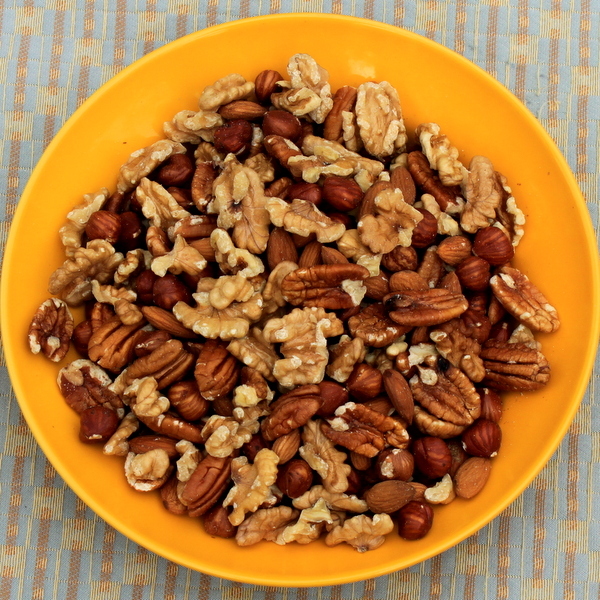 Four types of organic nuts mixed (when all available). 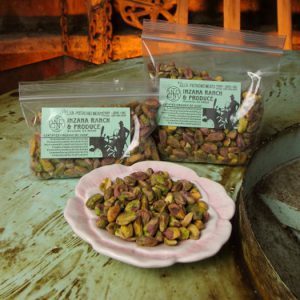 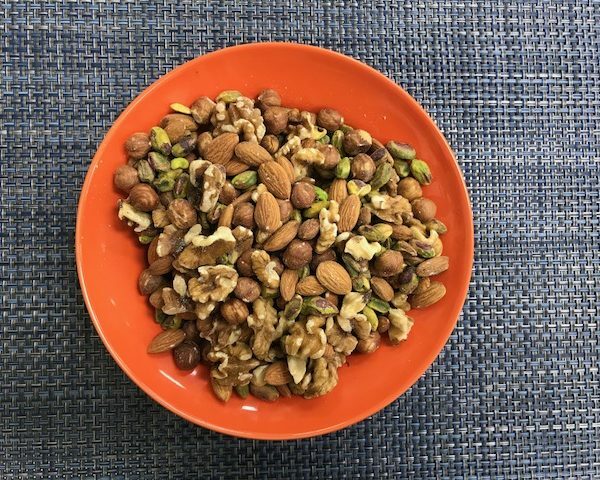 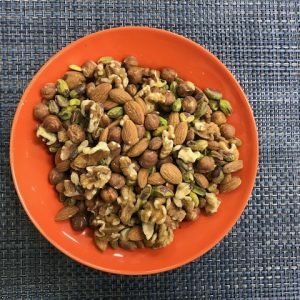 organic almonds, organic walnuts, organic pistachios and organic filberts (hazelnuts).